IDW Games To Publish Ratus Cartus This September! This fall, IDW Games will bring a pox upon the house of any gamer brave enough to pick up a copy of their new card game, Rattus Cartus. Rattus Cartus is a card game based off the International best selling Rattus series of board games. In Rattus Cartus, players compete to gather up loyal servants and merchants to aide in their quest for the crown, however, adding men means adding menace when every person you talk to could bring the black death into your house. 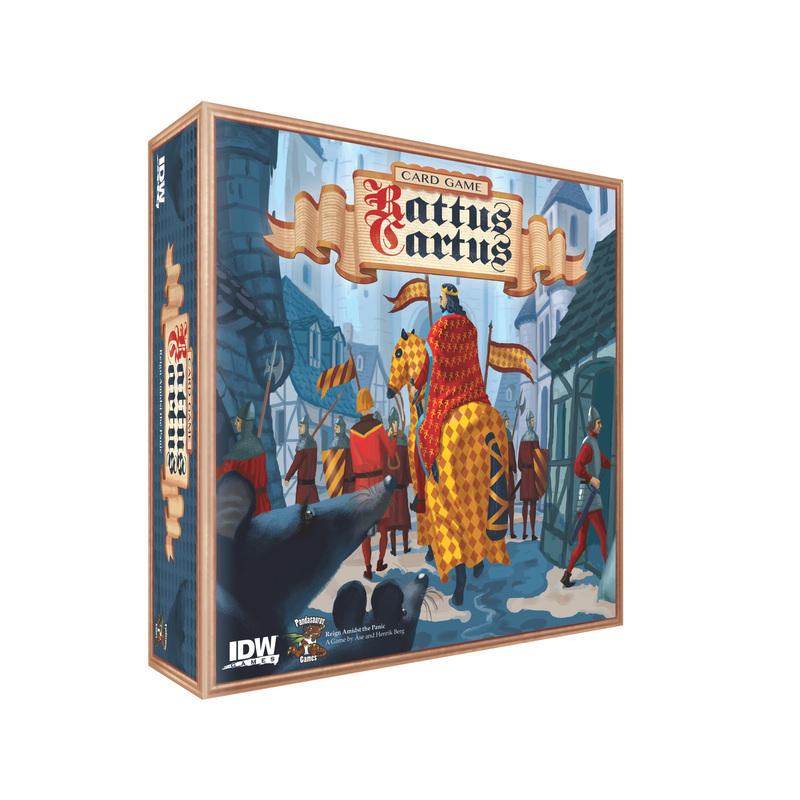 Featuring almost 200 cards, including 12 unique buildings and six different classes, Rattus Cartus is a medieval worker placement, blind-bidding game for 2-5 players that can be played in 30 to 45 minutes. The variety of buildings and character classes means there’s plenty of replay value in this killer card game. Look for Rattus Cartus to hit stores in September.